A tiny bead of sweat runs down your cheek. You are hot, much too hot. Your muscles are burning. But you keep going because you want it at all costs. Just 10 more sit-ups to a new personal best. 3, 2, 1… made it! On top of the world. Motivated. Proud. Yeah, sometimes the Sit-Ups app gives you superpowers. It boasts a range of training plans to strengthen your core. And pushes you to achieve personal records. Have you tried it? If not, get your free Sit-Ups app here. Can you already start seeing your abs? That’s all the more reason to be able to use all the app’s features. 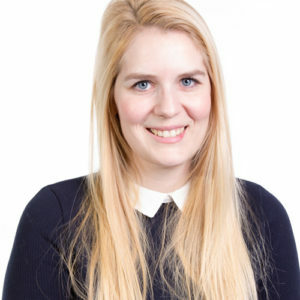 And because many of our users ask the same questions, we have put together a list of the most frequently asked ones – so nothing more stands in the way of your sixpack. The app only counts sit-ups that you actually do with your phone. You cannot add any workouts manually. 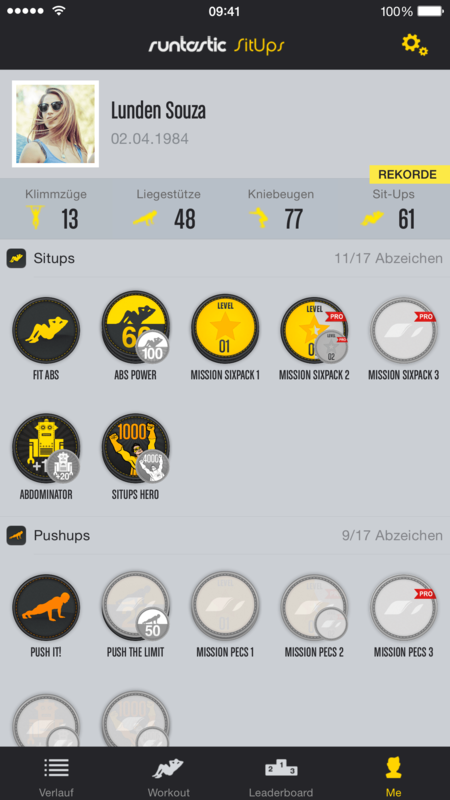 In the overview, you can see which workouts you have completed and how many sit-ups you have already done. To use the app, your smartphone needs a motion sensor. It is what counts your reps. Your phone doesn’t record any sit-ups? Then you should check if your phone is equipped with a motion sensor. (In some phones, this sensor is called “gyro” or “gyroscope”). You need to hold your device with both hands. For the app to count your sit-ups, your phone needs to be in landscape mode and close to your chest. One reason could be that your Internet connection is not stable. This prevents your phone from uploading your workout. But don’t worry, it’s not lost! 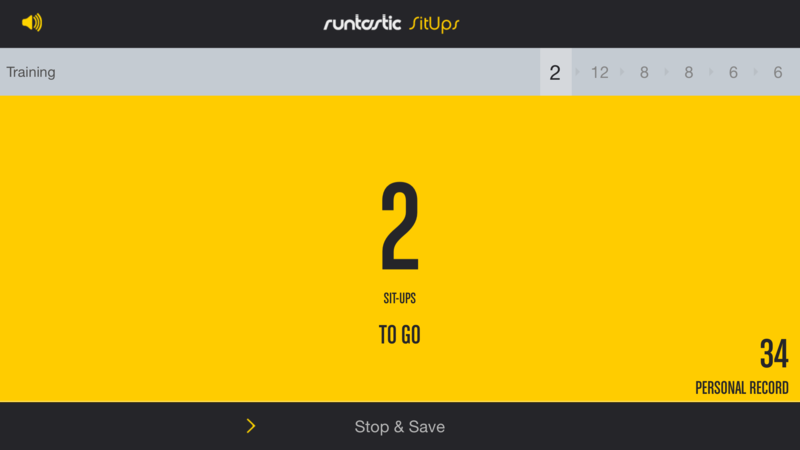 At the latest, when you do your next workout, the previous one will also be saved to Runtastic.com. You don’t want to wait that long? You can also try it this way: Log out and then back in again. Uploading works best when you are connected via WiFi. 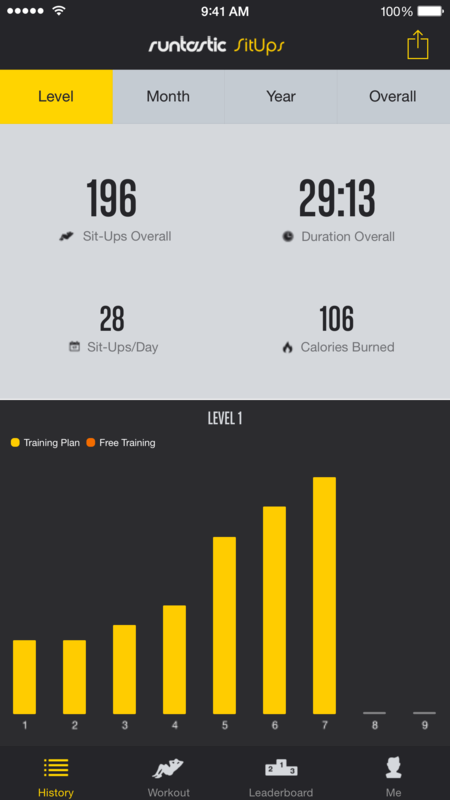 The “Statistics” menu item shows you information on your own training – how many sit-ups did you do last month? 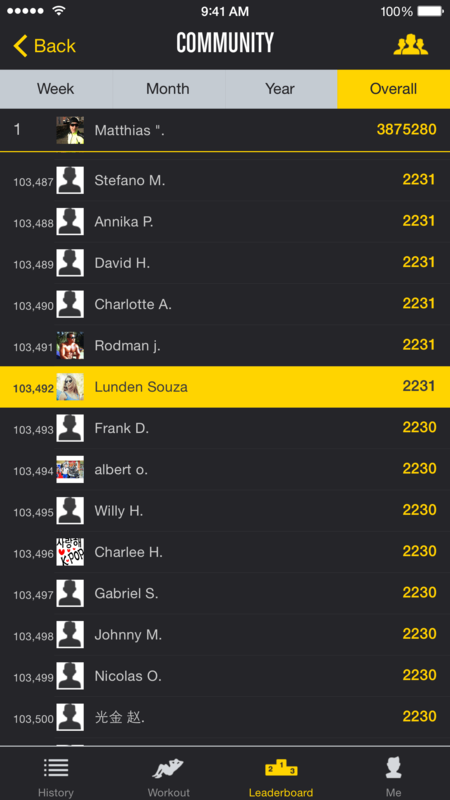 Directly in your app, there is also a leaderboard. Select this menu item to see your friends’ personal bests. Compare yourself with your friends and see, for example, who has done the most sit-ups this month, who has done the most in total, or who is leading for the year. You can check out the worldwide Leaderboard online at https://www.runtastic.com/de/pumpit. There you can find the rankings for sit-ups, push-ups, squats and pull-ups of people from all over the world. Badges are emblems you earn for your performance. There are certain targets you have to meet. If you reach one, you receive the respective badge. Have you already gathered some? Try it out, you’re sure to gain one today! 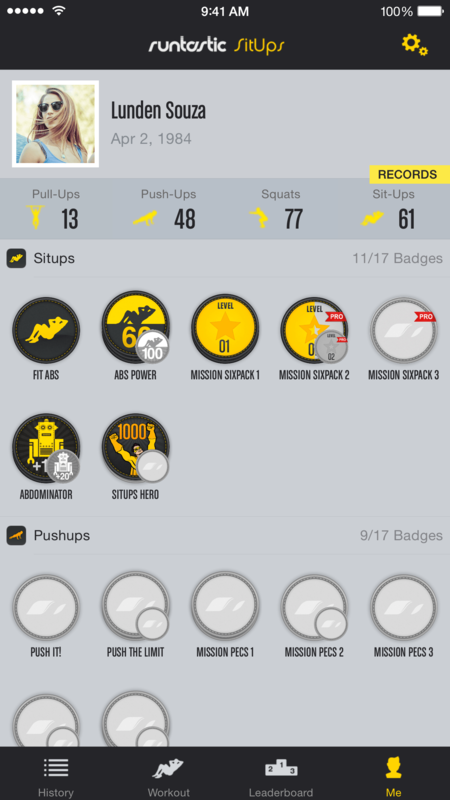 Badges give you more motivation by showing you how much you have improved over time. For each achievement, a badge. Do you have any other questions about the Sit-Ups app? If you do, please contact our Help Center.